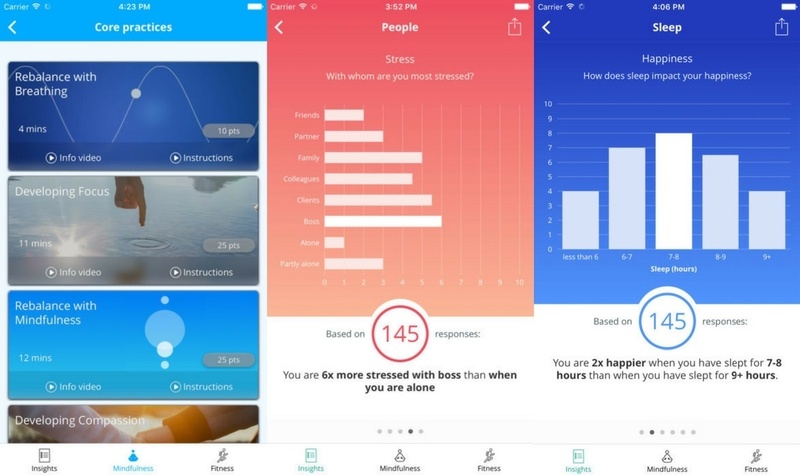 A new mobile app aims to revolutionise how companies evaluate and boost the well-being of their employees. The creation of two tech entrepreneurs, the app is looking for £600,000 of investment via crowdsourcing site Seedrs, and is currently 94% of the target. Me@mybest is a real-time platform that provides unique data for employees about what is affecting their wellbeing, as well as feeding back general statistics to employers to help improve the workplace. The app was inspired by seven years of research carried out by its creators Dr George MacKerron, chief technology officer at research company Psychological Technologies (PSYT), and former head of research at Headspace Nick Begley, who found from 3.5 million data points that work is people’s second unhappiest activity, only beaten by being ill in bed. Therefore they wanted to change that with their second app. Organisations are increasingly acknowledging that workplace wellbeing is important, and this app is an example of the world reacting to these needs. At random times, Me@mybest will alert you to reflect about what’s going on in the here-and-now. This data is then fed back to you in personalised charts, giving you insights into your well-being and performance. The more Reflections you do, the more charts you’ll unlock and the more insights you’ll receive. The data you send through is sent securely and anonymously. Your employer only has access to group-level data and is not able to identify you personally. The app is already in use by several firms in the UK, and they hope this round of investment will help them develop the app further, and make it available on a global scale. Already the data gathered has helped companies improve the general well-being of employees, and this has also helped boost productivity, a significant and often understated benefit of a happier workforce. This is just one several exciting new developments in how we are addressing the issue of workplace well-being, and with research highlighting a general lack in employee productivity in some countries, as well as continued evidence pointing to a lack of well-being in the workplace, this app could be a helpful tool for many office environments. Revamp, Restyle, Reveal - The big reveal!